A. Bowness, Henry Moore Complete Sculpture, 1980-1986, London 1988, vol. VI, no. 873 (another cast illustrated p. 52 and pl. 103). 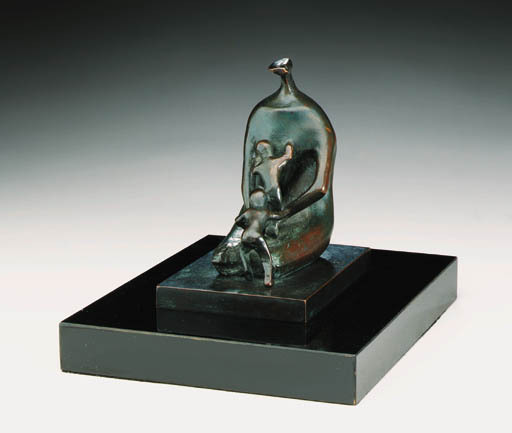 The theme of Mother and Child was a constant and recurring one throughout Moore's oeuvre. However, as he stated, it was not because he was obsessed with this theme and other recurring subjects such as the reclining figure, but rather "I haven't exhausted them and, if I were to live another hundred years, I would still find satisfaction in these subjects. I could never get tired of them, I can always discover new thoughts and ideas based on the human figure, it is inexhaustible." (Henry Moore in Henry Moore, My Ideas, Inspiration and Life as an Artist, London 1986, p. 184).